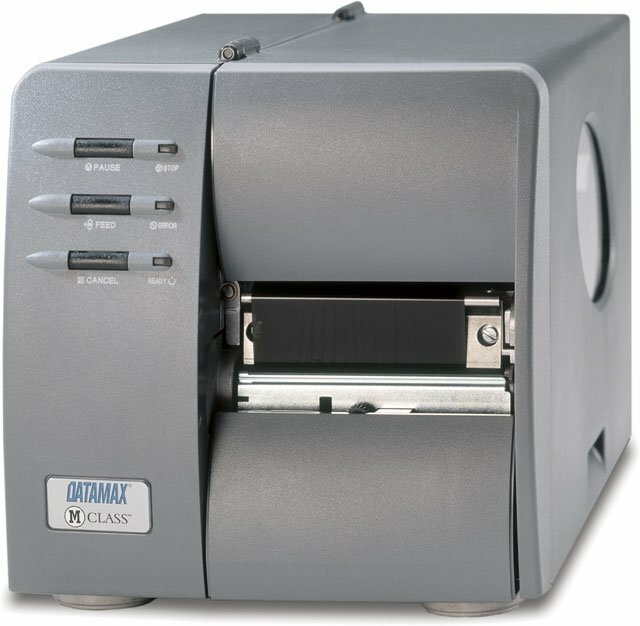 The Datamax M-Class Mark II thermal barcode printer is a compact industrial strength printer series that offers the power and performance required in industrial environments, the reliability demanded in commercial applications and a small footprint when space is a consideration. It combines powerful standard features with a variety of flexible options to meet the broadest possible range of applications. The solid die-cast metal construction, large graphical display and modular design set the M-Class printer family a step above its competitors. The printer's solid cast metal chassis and durable steel cabinet offer rugged and reliable performance. 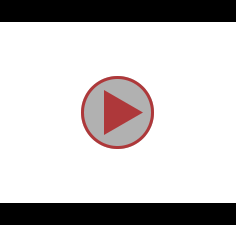 The easy-to-use graphical display makes navigation through the menus quick and simple for any level user. The modular design offers the flexibility to quickly replace parts in the field or install options to meet changing business requirements. 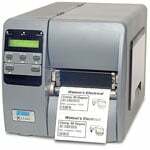 M-4206, Industrial Thermal transfer Printer, 203 dpi, Interface Options: Serial, Parallel, USB, Maximum Print width 4.25. M-4210, Industrial Thermal transfer Printer, 203 dpi, Interface Options: Serial, Parallel, USB, Maximum Print width 4.25. M-4206, Industrial Thermal transfer Printer, 203 dpi, Interface Options: Serial, Parallel, USB, Maximum Print width 4.25, Fixed Media Hanger. M-4206, Thermal transfer Printing, 203 dpi, 4 inch Print width, 6 ips Print speed, 8MB Flash, Peel and Present Sensor & Internal Rewinder for liner take-up. For add on peeler kit, please see (Part# 78-2737-01). 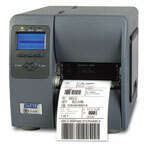 Thermal Labels, 3" x 3" Direct thermal paper label. 500 labels/roll, 8 roll case. M-Class are rugged, sturdy printers developed for use in barcoding applications such as healthcare, light manufacturing, inventory and retail SKU management where space, reliability and performance are the motivating factors. The M-Class is designed based on elements borrowed from the industry-leading Datamax I-Class printers, featuring a die-cast aluminum chassis to enhance durability and performance. The printer's design allows for field installable options and quick media changes for users functioning in mission-critical printing capabilities. The compact, modular design enables usage in environments with limited space and offers low total cost of ownership. Options such as Thermal Transfer, Internal Rewind, Peel and Present and a Cutter are user-installable and removable. By incorporating these successful design features into a user-friendly, small footprint printer, the M-Class surpasses current barcoding and labeling requirements. The M-Class printer is intended to address the needs of new users of barcoding technology, as well as the prominent choice for users who have aging thermal printers that need to be replaced.